Allow me to Introduce myself, I’m Charlotte Pridding and I’m an avid writer, artist and photographer with an interest for the human skull in the contemporary visual culture. The real question is, what does one do with all of these interests and inspirations? That’s where Black Calavera plays an extremely crucial part. Black Calavera is a research project that investigates the growing interest of the human skull within contemporary art, design and popular culture. Towards the beginning of 2012, I was introduced to the Mexican Day of the Dead and the sugar skulls that were discovered via local bars, restaurants, cafes, shops and galleries across Melbourne. The blog includes a series of articles, reviews and projects exploring the artistic, cultural and historical representations of the human skull. The posts presents inspiring research relating to professional and emerging artists who explore death’s unavoidable presence from an artistic and cultural context. 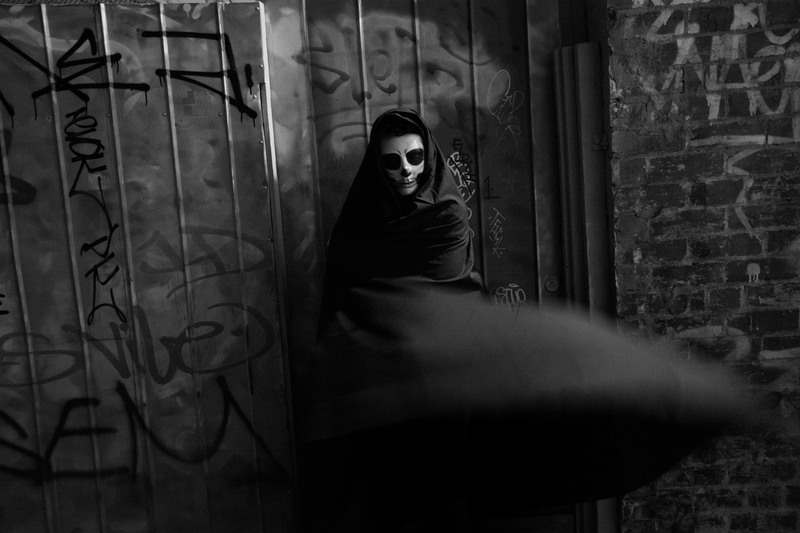 Furthermore, Black Calavera examines society’s ongoing fascination with death in the 21st century. My brother is a jewellery designer and uses skulls in many of his creations. Here’s one of the blog posts about this http://jolitajewellery.wordpress.com/2012/05/21/diamonds-are-skulls/ and our jewellery collection Voodoo where all the focus is on skulls http://www.jolitajewellery.com/brands/VOODOO.html. We had our pieces featured in Dia De Los Muertos themed shoot before http://jolitajewellery.wordpress.com/2012/05/18/2300/ and I’m also waiting for pictures from the most recent shoot of the same theme, sneaky preview is posted here (last 4 pictures) http://jolitajewellery.wordpress.com/2012/07/09/stylists-at-work-with-unique-colourful-statement-jewellery/. Added ‘The Skull Project’ to my blogroll. Oh this is what I’ve been waiting for – what a great idea for a blog! I wonder if you’d be interested in having a chat about a guest post? hey thanks 🙂 it’s currently for my university project but i’m hoping it expand on the blog once I finish 🙂 Yeah no problems, just wondering what you mean about a guest post? It’s a pretty damn awesome uni project I have to say! As for the guest post – I’m an artist living in Perth and I paint (mostly) skulls and día de los muertos designs on different things, and I was wondering if you’d be into writing a small post about skulls and/or mexican culture for my blog? You’re welcome to check it out and drop me a message if you’d like to chat more! How’s the thesis going? Thanks for taking the time to write the excellent blog post even though you must’ve been busy. I think the post is great! If you would like to write another, that would be awesome, let me know if you need any more info/pics. Hey Good thanks 😀 ..i’ve completed the first draft, i’m writing about the Day of the Dead actually 🙂 ohh no problems, I really liked looking at you work. Yeah it would be great to talk about some of your Day of the Dead / skull works 🙂 the skateboards you made are fantastic! Howdy! Happy to have stumbled over here and loving the blog. Look forward to reading more! Hey thank you 😀 i’m hoping to post more once I complete my research project, glad you like it. Sorry I hope you or anyone else won’t think it’s a shameless self-promotion, I am just really really proud of my pictures:):) Would love to hear your thoughts. Hello, I do apologize for the late reply, I’ve been finishing off my thesis. I think the photographs are great! just wondering if they’re apart of the display or if they’re a piece of jewellery? I would love to write a post on your new collection, once I have finished everything? Hi there, I do apologize for such the late reply, everything was just way to hectic over Christmas and new Years. Now that I have the free time, I would love to talk about the skulls you had on WordPress a while ago! I was just wondering if the skulls were apart of the jewellery or are they used to display the jewellery? If you would like me to advertise anything, I would be more than happy to, I’m on holidays at the moment and I’ve just finished my course so I have no distractions. Hopefully I shall speak to you soon, Charlotte. Cool blog. Best of luck in 2013! Oh thank you 🙂 I’m glad you like the blog and thanks for the comment. Best of luck to you to! Very cool concept. Look forward to reading more from you.